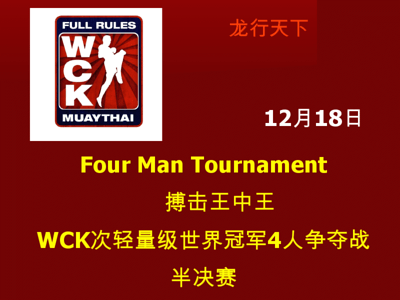 The lineup for the 2nd day of WCK Muay Thai’s 2 day event in China has been completed and the results are in. Much thanks goes to Dennis Leung who is there now in China with the results. Some of the results were surprising to me. Huang Haigong v Deng ZaShe – Huang Haigong wins by split decision. Steve McKinnon v Stephane Superregui. The winner by majority decision is Steve McKinnon. The scores were split the following way for McKinnon’s favor:- 48-47 47-47 48-47. ~ by fatsoking on December 19, 2010.